Thanks to the striking green and regal history entwined with ancient Egypt, emerald engagement rings are a popular choice for couples looking for something a little more unique. With a long and rich history that dates as far back as early 4000BC, emeralds play a central role in most jewellery collections, including earrings and pendants. 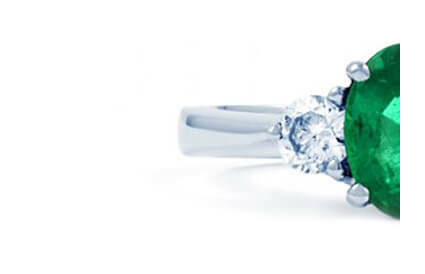 So, if you’re looking for the perfect emerald engagement ring, you’re sure to find it in our collection. Alternatively, we offer a custom design service if you’re looking for a bespoke ring for that special occasion. Contact us today on +44 (0) 203 6959 885 for more details.